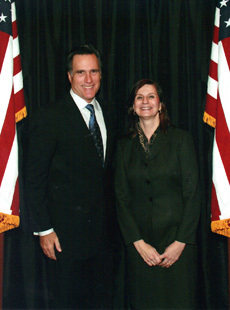 Leading communications strategist Susan Meyers has advised national, state and local political leaders, including Presidential candidates Newt Gingrich and Mitt Romney and former Georgia House Speaker Mark Burkhalter. She also has been the driving communications force behind numerous public policy and legislative efforts, ranging from school choice to national healthcare reform. Pulitzer Prize-nominated journalist Susan Meyers knows what makes news and how to best craft your message into a compelling story that captures media interest. Meyers will proactively work with your staff to ensure your message resonates with the public. Veteran journalist Susan Meyers relies on the relationships she built with news outlets during her 17 years working in print and broadcast media to benefit clients. These relationships are key to delivering your message in a way that is compelling, accurate and resonates with the appropriate audience. Whether it is bad headlines, dirty politics or rumors on social media, Oak Grove Communications works to build and maintain a strong reputation for clients. It will immediately begin work to build or restore your reputation through all channels. Many clients often think it is too late to contact Oak Grove Communications after a crisis hits the press. Oak Grove Communications takes proactive strides to respond to the crisis and repair the damage to move forward while telling a message of strength and accountability. From new policy initiatives to campaign kickoffs, Oak Grove Communications will work with your team to handle all details of your next event, including press announcements, talking points and logistics.